If you cannot see your radio type in the above list please contact us to see if we can source it for you. We can supply a variety of audio adapters to suit a number of makes of radio type. The easy to fit connector is handy to use when you constantly need to change or remove the accessory. To view a range of adapters available view our atatched spec sheet. The 2 piece kit consists of a earpiece with microphone and a dongle to plug into the radio. It only needs to be paired up once, the batteries will last for around 24 hours under normal use. Once paired up you use the PPT on the side earpiece to talk. To charge the kit you only need one 240v socket and both piece will be fully charged in less than 2 hours. The 3 piece kit consists of a earpiece with microphone, dongle to plug into the radio and a remote PTT button which can be worn round the neck or mounted in a vehicle (Remember it will need to be charged). It only needs to be paired up once, the batteries will last for aprox 24 hours under normal use. Once paired you can use either the PTT on the earpiece or on the remote button to talk. To charge the kit you only need one 240v socket and all three piece will be fully charged in under 2 hours. 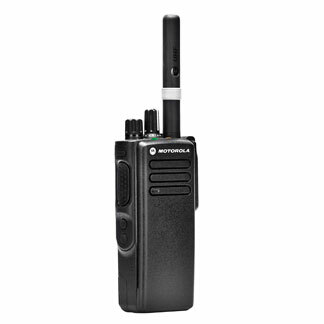 OTTO designs and manufactures a full line of OEM quality two-way radio accessories for the most demanding applications, including public safety, fire, police, security, SWAT, surveillance, hospitality, industrial and commercial markets. OTTO accessories include One, Two and Three Wire Kits and Commercial Surveillance Kits, Lightweight and Heavy Duty Headsets for use in high noise environments, Remote Speaker Microphones for Public Safety and Industrial use, and Skull and Throat Microphones for such applications where standard accessories cannot be conveniently used.